Are you ready for Carrie Underwood?? 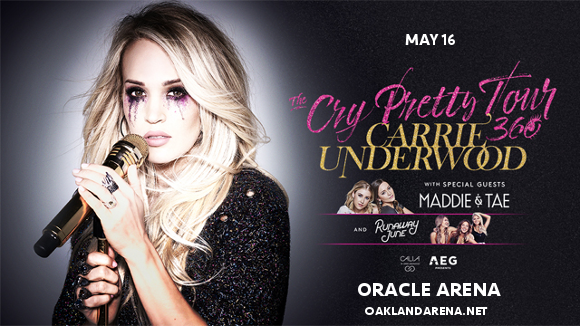 The country star is coming to the Oracle Arena on Thursday 16th May 2019 as part of her Cry Pretty Tour, with incredible support from Maddie and Tae and Runaway June!! It’s going to be amazing – make sure you’ve got your tickets!! Book now!! And the tour looks set to sell out – clearly, the move hasn’t hurt her career in the slightest. If anything, true fans will have a stronger respect for her than ever for being true to her principles. It looks set to be an incredible show – don’t miss out!! Book your tickets to see Carrie Underwood today! !